Gallatin, America’s Swiss Founding Father by Nicholas Dungan | What Would The Founders Think? At the close of his biography Gallatin, America’s Swiss Founding Father, Nicholas Dungan asks the rhetorical question: Was Gallatin a Great Man? To which, anyone having read the book, would have to answer with an unequivocal and resounding Yes! To be sure, Dungan, himself of Swiss descent, would probably have to admit to having fallen in love with his subject. Regardless of any biographical bias, Gallatin’s accomplishments, intelligence, and character all support history’s positive imprimatur. By whatever metric one uses to assess greatness, Gallatin was a great man. Unfortunately, he is also a man with whom most Americans are no longer familiar. This is a shame, because, Americans owe him a lot. Gallatin was a meticulous administrator who went through Treasury records with a fine-toothed comb. Under his leadership, the Louisiana Purchase was paid for and the size of the country doubled – without raising taxes. Aside from his success in Congress and in running the Treasury, Gallatin, like John Jay, also was a diplomat par excellence. His urbane European background, fluency in French, and brilliant mind made him the ideal foreign minister. He served several presidents in a diplomatic capacity and successfully negotiated the Treaty of Ghent, concluding “Mr. Madison’s War,” aka the War of 1812. Dugan convincingly asserts that Gallatin played the key role in negotiations with Britain at a time when Britain held all the cards. England had vanquished Napoleon and was in a vindictive mood. Britain now had the ability to turn all of its attention to punishing the upstart United States for having the temerity to challenge its supremacy. 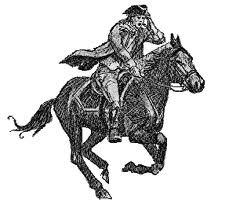 It was Gallatin who tempered the negotiations – and even his fellow delegates, Adams and Clay. According to Dugan, Gallatin’s “tactful, shrewd, and highly skilled diplomacy” carried the day. For this accomplishment alone, Gallatin might be considered a “great man.” Gallatin was deft in postponing irreconcilable issues when negotiating the treaty with Britain. (Ironically, when the treaty expired, it was Gallatin, years later, who was faced with resolving these outstanding issues.) Much as members of the Constitutional Convention had agreed to table a discussion of slavery in an effort to move beyond the contentious issue, Gallatin broke the impasse between Britain and America by suggesting that each side submit a treaty that they would be willing to ratify. Some issues were simply deferred – such as boundary disputes in the North West Territories and the impressment of American sailors by Britain. The treaty was exceedingly important because many on the British side thought they should establish a colonial foothold in America once again. Instead, thanks to Gallatin’s negotiating skills, the combatants retained the status quo with regard to territory. While Gallatin never ascended to Secretary of State, a position he hungered for, he continued to serve successive administrations in various diplomatic capacities even into his 60’s. As mentioned above, it was Gallatin who was called upon to resolve outstanding issues with France and England after the War of 1812. France, while not officially at war with the US, had seized US ships and cargos during the course of the war. Upon restoration of the monarchy after Napoleon, the new French government did not see fit to answer claims precipitated by its predecessor. Gallatin dealt with issues such as fishing rights, navigation of the Great Lakes and Mississippi, as well as territorial disputes with the British. Throughout his diplomatic career he also had to contend with a capricious Congress and vacillating presidents such as Jefferson and Madison. When Gallatin finally left official public service, he was in his 60’s, but he was far from used up, either physically or mentally. During the next 2 decades Gallatin embarked upon a number of philosophical, intellectual, and professional career paths. Professionally, these included his role as the first president of the council of New York University and president of John Jacob Astor’s National Bank of New York. From a philosophical perspective, Gallatin wrote landmark papers on currency and free trade. Dugan points out that Gallatin was unable to do anything with less than complete thoroughness. These papers were unanswerable in their citations of fact and logic – and caused no little embarrassment to some in government who sought to take an alternative tack. Intellectually, Gallatin remained a remarkably sharp individual and, in his 70’s, undertook the astounding task of codifying Native American languages. At the age of 75, he published a study of Native American ethnology and linguistics, which was 422 pages in length and included an ethnological map and numerous vocabularies. He continued to write on this topic and was named president of the New York Historical Society. He has been designated the father of American ethnology. At 85, he combined his interests in political science and ethnology and wrote a 300-page study entitled Notes on the Semi-Civilized Nations of Mexico, Yucatan, and Central America. He died in 1849 at the age of 88. Gallatin led an interesting and amazing life and he did so with dignity and class. He managed to bridge the gap between American exuberance and European urbanity. In many respects he was an outcast of both worlds, alternatively respected and rejected on both sides of the Atlantic. Dugan does a phenomenal job of condensing a lifetime of accomplishment into his slim biography. However, Dugan’s book is interesting from other than a biographical standpoint. Gallatin was involved in the setting of several precedents in the operation of the fledgling republic. For instance, Gallatin led the opposition in the House of Representatives in an attempt to thwart the Jay Treaty by defunding it. His side lost the battle when the House capitulated under pressure from President Washington, and the principle of executive authority to make treaties and of the Senate to exclusively ratify them, was firmly and permanently established. Gallatin’s loyal opposition earned him both friends and enemies. 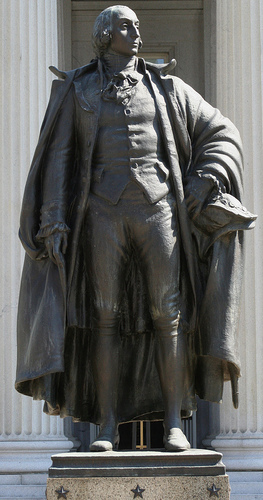 Gallatin’s demonstrated expertise in finance earned him a position as Treasury Secretary, which he held in the administrations of Jefferson and Madison. Gallatin held his ground against Jefferson again and again. Ultimately, Jefferson’s objections, which were ideological, could not stand up against Gallatin’s, which were practical. This was a pattern that Gallatin would repeat. 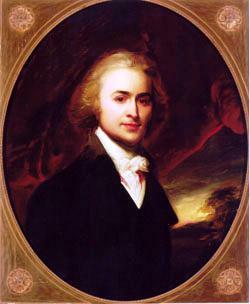 In his role as diplomat, he raised the ire of his boss, Secretary of State John Quincy Adams, because he called an Adams’ argument baseless. The incident revolved around the seizure of a French ship called the Apollon on St. Mary’s River, which separated Spanish Florida from American Georgia. Adams argued that since the Spanish were doing such a poor job of enforcing their border, the Americans might as well do it for them! Gallatin, then in France negotiating maritime trade regulations, was challenged by the French to explain the action and basically admitted that Adams’ argument was ludicrous. However, he sent a letter to Adams explaining his reasoning. In his view, the United States could not just take another nation’s ship whenever and wherever it pleased. He also strayed from the negotiation points put forth by Adams – and told him he had done so. Thus again, Gallatin was willing to go against his own party, and political interests, to stand up for what he thought was right. At other times, with other negotiations, however, he was willing to set aside his personal opinions and support the edicts of his superiors, even when he knew them to be poor choices. But, Gallatin never compromised his principles. He was undeviating in doing the best he could for his adopted country. Dungan’s biography of Gallatin should not be missed. It’s well-written, informative and includes an extensive bibliography and notes. Dungan doesn’t necessarily make the reader fall in love with Gallatin, but he certainly makes him appreciate and respect America’s Swiss Founding Father. This was an age of enlightened men. How we need council now. Thanks for the great post Martin. John, thanks for the compliment. I couldn’t agree more. It amazes me how many of such men we had then and how we don’t seem to have any today. I just saw that book someplace over the weekend (strange how I can’t remember where)! I would have never known the man except that I just finished reading Ketcham’s biography of James Madison, where Gallatin featured extensively.